Was John Cheever the internalized homophobia poster child? After 679 pages of every excruciating detail of this man’s life it would be hard to conclude otherwise. He tortured himself for his attraction to men from an early age to, really, his grave. 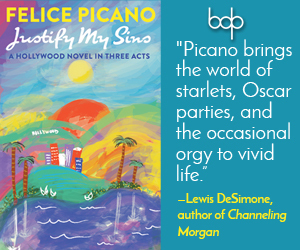 While he did eventually find some modicum of peace late in life, it was more of a ceasefire rather than a true embrace of his bisexual self. Few people’s lives and troubles have been as publicly aired as John Cheever’s. Since his death in 1982 at age 70, examinations include the book Home Before Dark by his daughter Susan, the publication of his personal journals in 1991, a 1988 biography and even a posthumous cameo appearance on Seinfeld in 1992 in the form of love letters to Susan’s (George’s fiancé) father. What more could there be to tell about this man? Apparently a lot. 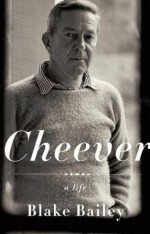 Author Blake Bailey’s smartly-written, extensive work Cheever, a Life may be the definitive volume about the great author having enjoyed both the perspective of time not granted to the earlier works and extensive access to Cheever’s family and personal records. The result is a nuanced narrative of a complex character. John Cheever was in many ways was a sad paradox. He was by nature a shy man, yet lived a life in the public eye. He presented himself with aristocratic airs yet, rather than dining on the upper-east side, Cheever spent most of his life flat broke. Those self-important airs, incidentally, would show up—consciously or unconsciously—as needed: in the book one man remembers how the more nervous Cheever became, the “more hauteur he affected and the more gargly and Katherine Hepburn-y he became.” He was once compared in his affect (and, one can guess, his looks) to Thurston Howell III. And drunk he often was. In fact, having come from home with an alcoholic father, Cheever managed to replace his dysfunctional family of origin with an even more dysfunctional one of his own. Eventually Cheever’s drinking would nearly kill him before his brother Fred dragged him to a treatment center in1975, after which he would never drink again. It’s actually quite amazing: at one point hospitalized and nearly dead, he would sober up and two years later publish Falconer. However, when it came to creating a rocky home life, much more than his philandering and perhaps even more than his drinking (if that is possible) was the reality that he simply was not a very nice man. He was often insulting, belittling, and humiliating to Mary and their daughter Susan and sons Benjamin and Federico, and he would use his rapier whit to eviscerate them and anyone he chose as he saw fit. 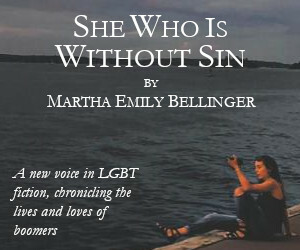 The last years of his life, he and Mary lived together like strangers. Bailey suggests Cheever was arguably the finest practitioner of the genre of short story of his time. He was something of a wunderkind, at age 18 first appearing in the New Republic with “Expelled from Prep School.” “It’s an astonishing debut at age eighteen,” Bailey reports. “Cheever has evolved a voice that alternated seamlessly between droll, oddly precise details…and flights of somber realism.” Cheever would go on to write hundreds of short stories, perhaps most famously chronicling the nascent suburban experience in The New Yorker. In 1964 Joan Didion observed in National Review that “I can think of no other writer today who tells us so much about the way we live now.” In 1979 The Stories of John Cheever won the Pulitzer Prize. Cheever struggled to complete his first novel, finally finishing The Wapshot Chronicle‎ in 1957 followed by the Wapshot Scandal in 1964, both based heavily on his family of origin. Bullet Park came out in 1969, and in 1977 Falconer debuted to widespread praise. . Oh, What a Paradise it Seems, his last novel, was published shortly before his death. Cheever may have been a lot of things, not the least was the internalized homophobia poster child, but he was also a complex man and a great writer. It is rewarding to read this smartly written book and really see not only his dark side but also his drive and his sacrifice. It’s in the writing—both Bailey’s and Cheever’s—where Cheever, a Life really succeeds. William Burleson is the author of Bi America, Myths, Truths, and Struggles of an Invisible Community from Routledge Press. Read more at williamburleson.org.